Dear Fellow Rosarians around the world. Have you registered for "A Fairytale of Roses" in Denmark June 28th - July 4th, 2018? You can be part of the anniversary celebrations and experience the highlights by attending the weekend of 29th and 30th of June? 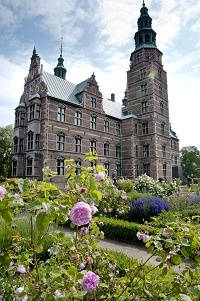 All attendees will receive the convention satchel and all are invited to judge the roses at the fragrant Rose exhibition on Rosenborg Castle on June 29th, as part of the Fairytale in Wonderful Copenhagen. IMPORTANT INFORMATION: If you haven not signed up for the convention already, please note that you have only a few days left to register at the “Late” fee of 660 euro. From 1st June: Super Late & Onsite Registration: 860 euro will apply. You can see the number of attendees per country on www.wrc2018.dk - updated once a week. In less than 1 month from today the first pre tour starts, so it is indeed time if you have not done so already to sign up for the various tours offered in conjunction with WRC2018 and to book your accommodation while you are in Copenhagen. Some tours and hotels are already sold out, so please make sure you do not miss it! We are so much looking forward to having you here as our most valuable guests!